Skin cancer is the most common type of cancer in the United States. It is estimated that 1 in 5 people will develop skin cancer in their lifetime. Anyone, regardless of skin color, can develop skin cancer. The number of new cases of melanoma, the most deadly type of skin cancer, has increased yearly. Alarmingly, melanoma is one of the most common forms of cancer diagnosed in adolescents and young adults. One person dies from melanoma every hour. Sunburn during adulthood also increases skin cancer risk. It is important for children’s teachers and parents to be protected from the sun to reduce their skin cancer risk and model sun safety for children. Be a sun safety role model so students can see that you think sun protection is important for yourself and for them. You will have a long-term and positive impact on their health. Positive reinforcement also increases students’ confidence in their abilities to perform sun safety behaviors. 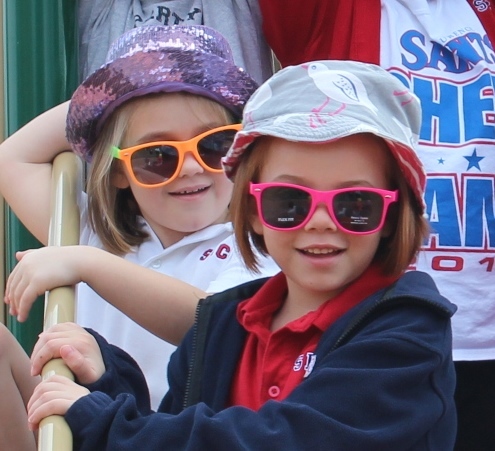 With your participation, sun safety can be a fun and enjoyable experience for students. Each of you can use the Sunbeatables program to teach and reinforce sun safety at your school. Music teachers can lead students in learning and singing Sun Safety Songs. Physical Education (P.E.) coaches and teachers can put sun safety concepts into practice by ensuring students are protected from the sun. Do not forget recess! Nurses can teach and reinforce sun safety concepts. School administrators can oversee efforts including parent communications.